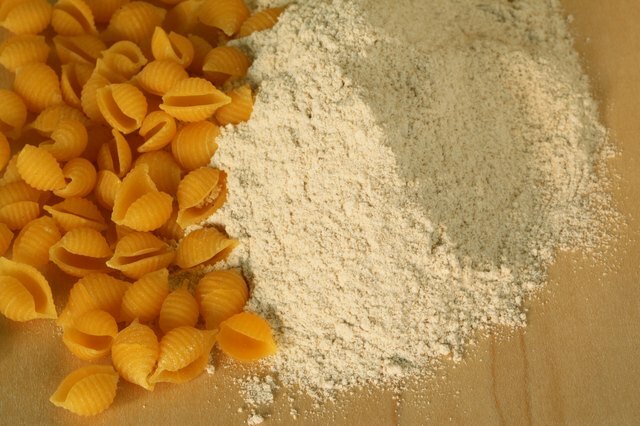 Semolina flour is traditionally used for pasta-making because it holds its shape through drying and cooking, and maintains a good texture. Semolina is also used to make couscous. 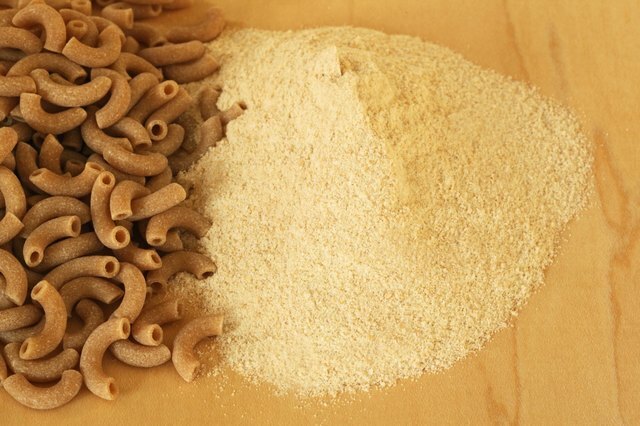 Because it is ground from durum wheat, which is the hardest kind of wheat, semolina stands up to the drying and cooking processes better than substitutes. When substituting other grains for semolina flour, experiment with quantities to get the desired results. 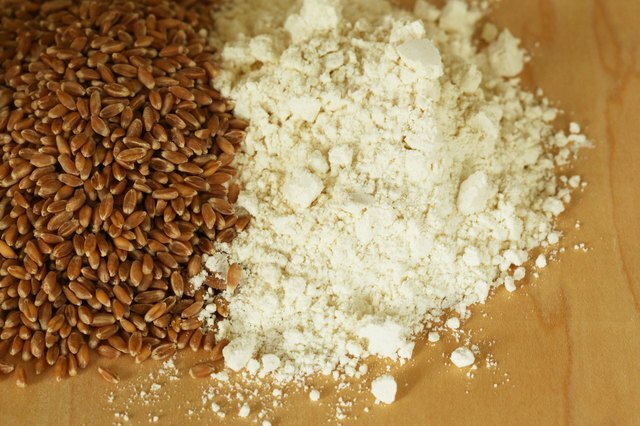 Kamut, a grain originating in ancient Egypt, has a much higher nutritional value than regular wheat. 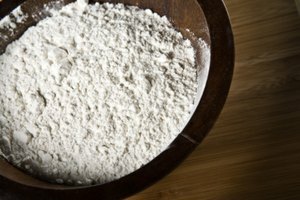 Kamut flour is ground from a nutritious spring wheat. In addition, it is tolerated quite well by most people who have been diagnosed with a gluten allergy. Spelt flour, like Kamut flour, can be tolerated fairly easily by people with wheat or gluten allergies. Spelt is a grain related to wheat; it contains less gluten than wheat, but is not actually free of gluten. 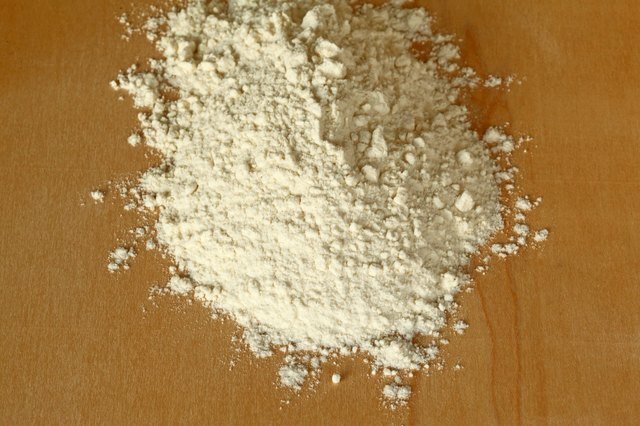 All-purpose flour is usually ground from a softer wheat than semolina and can be substituted for semolina flour. However, it is not nearly as good for making pasta. 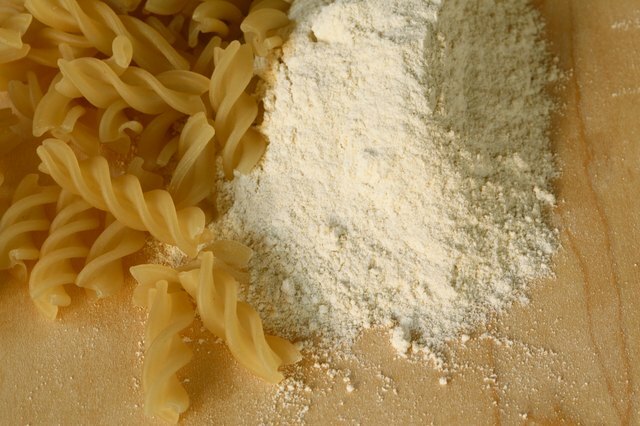 Pasta made from all-purpose flour should be cooked in lots of water and served while hot to avoid a mushy dish. 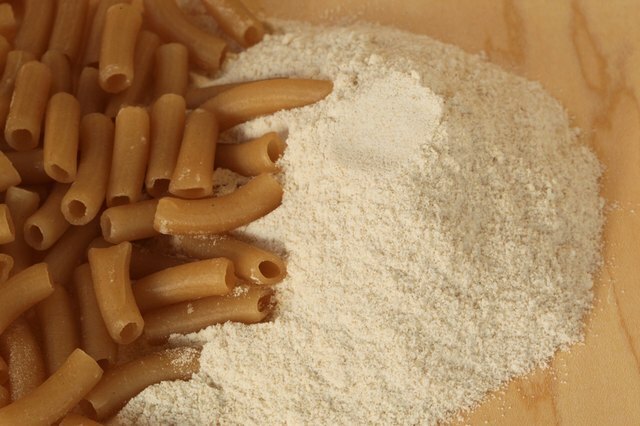 Rice flour can be substituted for semolina flour in pasta making or baking. This can be a good substitute for people who have gluten allergies. 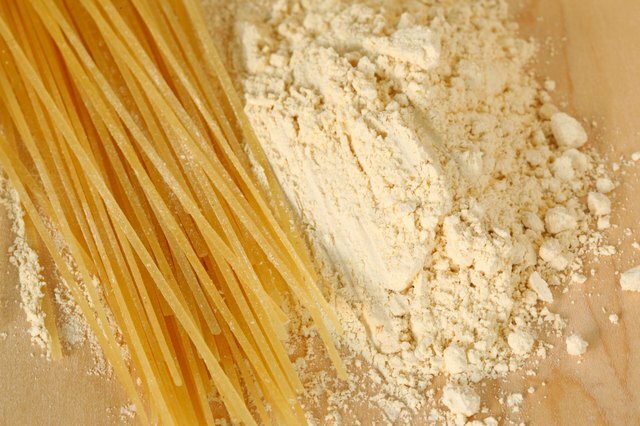 However, the pasta made from rice flour has a distinct rice flavor. Amaranth is an ancient grain that was a staple food of the Aztec people in the days before the Spanish invasion in the 1500s. 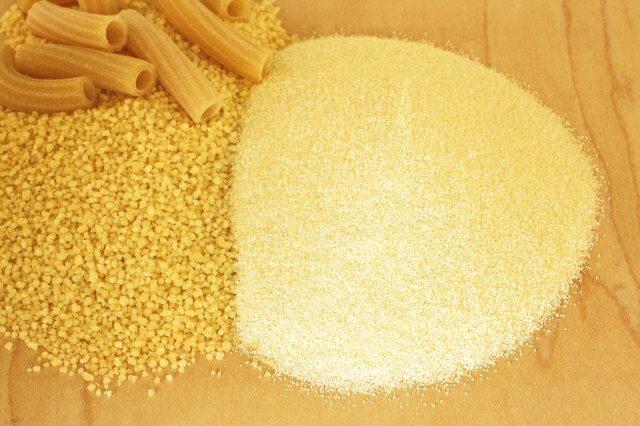 A non-cereal grain, amaranth is gluten-free and ground for use in baking and pasta making. It contains high levels of calcium and magnesium. Whole grains of amaranth can also be cooked and substituted for a rice side dish. Quinoa, an ancient grain originating more than 5,000 years ago in the Andes Mountains of South America, is regarded as a sacred staple for the indigenous people in the region. It was even grown to feed the Incan armies. It is related to amaranth, and has the highest protein content of all the grains. 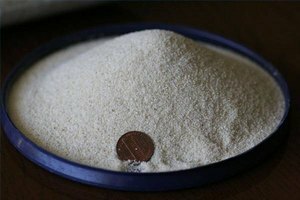 It is also ground and substituted for semolina flour in recipes for pasta and other starch substitutes. Garbanzo beans, or chickpeas, are a popular substitute for semolina, especially if the reason for the substitution is a gluten allergy. Garbanzo flour is also labeled as gram flour.